If you’re cleaning for company, you absolutely MUST make sure these 11 commonly missed cleaning spots are tidied up and spotless! Oh, boy! The season for holidays and guests and get-togethers and parties is quickly approaching, all too fast in my opinion! Not only do we have all the usual Fall festivities, but we also have four (Yes, FOUR! Everyone but me!) birthdays at our house, all within a month-and-a-half of each other! So basically what I’m saying is, if you’re wondering what I’m up to during Fall, the answer is cleaning. Frantically cleaning for guests because we get lots of them this time of year! Of course, there’s the usual suspects with sweeping and mopping and vacuuming and dusting (and maybe a little bit of hiding clutter in closets… Maybe…), but there’s always 10 spots I make sure to clean that are particularly icky and often forgotten. If you’d like a FULL house cleaning checklist, check out our Complete Spring Cleaning Checklist. 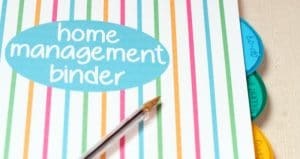 It has a checklist for every room in your house, and it will be spotless by the time you’re done! So here we go! Don’t forget to clean these 11 spots, or your guests might walk out in horror! 1. Kitchen Sink. I’m not talking about the dishes that might pile there. That’s totally normal, probably expected, especially if you’re preparing lots of food for parties, Thanksgiving, and the like. I’m talking about any crusty gunk that might accumulate around the edges of the sink (where it meets the counter), behind the faucets, and in or around the drain. The sink is where you wash and prep food! If your sink is filthy, it makes even the most delicious look a little less appetizing. 2. Bathroom. Think about this. The only place that your guests go by themselves is the bathroom. In the bathroom, they’re not occupied with conversation, or eating snacks, or watching your crazy kids and vowing to always ALWAYS use birth control. It’s the one place where the room actually has their full attention. So make sure your bathroom is in tip top shape, including dusting baseboards, clearing cobwebs, and shaking rugs. Stay tuned for three more specific missed cleaning spots in the bathroom! 3. Behind the toilet. Yes! Behind it! Especially if you have small boys who refuse to aim despite your incessant coaxing and bribing. 4. Toothbrush holder. Nothing really says dirty like having a place to clean your mouth that is, in fact, dirty. Be sure to wipe down your toothbrush holder and rinse it off. 5. Toilet handle. Seriously, no one wants to touch a toilet handle with mysterious goo on it. Because you just don’t know what that might be, do ya? 6. Window Tracks. 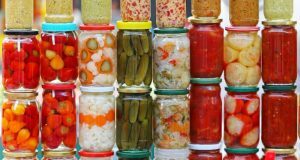 These have a tendency to collect dirt and grime and sometimes dead bugs (yuck!) as I’m sure you’re all too aware. A quick wipe down will take care of it. Even better, try using a Q-Tip to get in there really good! 7. Television Remote. The TV remote often gets overlooked, simply because it’s not part of the house. But it’s likely that it’s gotten smudgy, dusty, or even gooey over time and could use a good wipe down. Just use a damp rag to wipe it off, good as new. 8. Doors and Trim. Doors, door jambs, trim, and door knobs are all highly trafficked areas, yet they often get overlooked in cleaning. If you look closely, I’m sure you’ll be able to see the exact spot used to open the door by the plethora of hand prints. This will be much more visible with each additional family member, and exponentially so if those family members are tots. These areas are easily cleaned with a warm, wet rag and some all-purpose cleaner. Just wipe the whole thing down: the door (don’t forget the side! ), door jamb, knob, and trim. Be sure to dry it back off so as not to warp the wood. that gets dust and grime out of every crevice! 10. Kids’ Toys. These are particularly overlooked because, let’s face it, they’ll just be dirty again in 10 minutes. But they do still need a good wipe down and sanitizing, at least once per month, if not more. for dusting. Don’t forget the tops of the blades, as well as the light fixture. What’s your biggest cleaning pet peeve or thing that grosses you out when you go to other people’s homes? Share with me in the comments! Did you like these 11 Commonly Missed Cleaning Spots? Find more on my Cleaning and Organization boards on Pinterest! Since I’m short and can’t see it, I always have to remind myself to clean the top of the refrigerator. Peeves: homes with open high places over cabinets or room dividers with dusty silk plants and cobwebs. Unessential decor. Trash cans! Yes, they’re made to hold trash, but you should definitely wipe it down often, especially the lid. 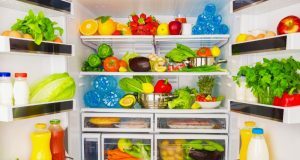 The link to your spring cleaning checklist in this article actually links to your how to clean the fridge in 20 minutes article. I was hoping for the spring cleaning checklist.